A discussion of both The Girl Who Owned A City by OT Nelson and The Happening a film by M. Night Shyamalan and not the wicked awesome album by The Descendants. First let me assure everyone, I do understand this is young adult novel. I am not a young adult and because I am not I read it with perhaps different eyes and have higher expectations. I do enjoy the occasional young adult novel even though I feel a bit strange reading them. I have read some fantastic young adult apocalyptic fiction and some truly dreadful ones as well. 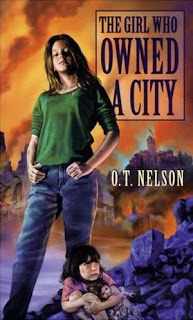 I would not place The Girl Who Owned A City by OT Nelson into the truly dreadful category but I would place it very near it. I understand again that the main point of the novel was not to fashion an end of the world scenario but to have a teaching tool for adolescents. The book is intended to make the Objectivist philosophy of Ayn Rand understandable to children. I have even seen it taught in school in government classes to help school children think about how they would form a government of their own. I just found the whole book a bit heavy handed (and by a bit heavy handed I mean over the top) but OT wanted to make children understand and sometimes you need to be a bit heavy handed to accomplish this end. Most of the Objectivist philosophy teaching is done in the form of bed time stories that Lisa Nelson tells her little brother Todd. They are all about the same. Pretty much two points the American Government is bad because they take wealth from you and don’t give you the value of the things they take from you. The second seems to be a screed about depression. OT seems to think that people are unhappy because they are not earning their place in life. They would all be much better off if things were not just given to them. He thinks that if only people would work for a living they wouldn’t need to take any Prozac. I think it is worth noting now that OT Nelson has two children named Lisa and Todd. The whole book is written for his children and I bet they both think it’s pretty fantastic. For the rest of it just appears to be an attempt at indoctrination. I was disappointed in the cleanliness and sterility of the story. Although all the adults had died in just a single month, no mention of corpses was made. No mention of clean up. No description of the symptoms. There should have been wreckage and piles of rotting corpses. It was just way too clean. I was also disappointed in the way Nelson chose to portay the state of minds of the children. They have lost everyone they know who is older then 12 yet they don’t mourn the dead. To me this book has more in common with Lord of the Flies. Both books have the element of rebuilding some type of society without adult help. I found the book to be just a bit boring. I recommend skipping The Girl Who Owned A City and reading instead Empty World by John Christopher or the Fire-Us Trilogy by Jennifer Armstrong and Nancy Butcher. Both of these are a far better read and are along the same plotline (a virus wipes out adults) although they leave out the society rebuilding element. There is also the four-book ‘Big Empty’ series by J.B. Stephens. These books deal with a plague called ‘Strain 7’. It is not fatal to just adults but to everyone. It does however feature a cast of seven teenagers and is written for an adolescent audience. Also if you prefer your books in visual form then the ‘Jeremiah’ series might be for you. This series takes place 15 years after a virus called ‘The Big Death’ kills everyone who had reached puberty. All of these books (or shows) are a far better option than O.T. Nelson’s book (that I barely made it through). I thought I’d give this the same treatment I gave ‘There Will Come Soft Rains’. I figured I would search for a study guide and answer the questions myself. Keep in mind this is a kid’s book so teachers do ask their students to read and respond to it. Even though it has some strange ideas. What happened to the students on Grand Ave? There was a plague that killed all the adults. When the sickness was finished the only children left were 12 or under. They had to learn to survive on their own. Also they had to reinvent society. Lisa understood there was strength in numbers so she had all the children band together for mutual protection. In the end they realize they cannot keep themselves safe in the houses they once shared with their parents and move to Glenbard High School. With the help of the children she transforms the school into fortress and defends it from the gang who had made them abandon their homes. Lisa, the leader of the Grandville Avenue Children. There are many other characters but none are really main characters. What role does Lisa, the protagonist, have? She is the leader of the Grandville Children and eventually becomes the leader of The City of Glenbard (the high school). She is responsible for keeping order, providing protection and keeping them fed. Her role is much the same as the President. Her job is made easier because she is a divergent thinker and can think of solutions to problems that other children hadn’t even thought of. Food for example. How were they going to feed themselves now that the adults were all dead? How have the children survived so far? So far the children have survived by scavenging for food in the empty houses of dead adults nearby. When trouble arrives they hide in basements and wait for it to end. Then Lisa thinks to organize, look for food at farms, find food at a grocery store distribution center and finally move to a more defensible home with fortifications. What are some tragic events that have happened to the children of Grand Avenue? First they lost their parents, grandparents, aunts, uncles, older brothers and sisters, and neighbors to the virus. Just as they are getting things sorted out rival gangs of children invade and take the food they have gathered and finally burn their homes forcing the children to relocate to ‘The City of Glenbard’. As a final insult their leader Lisa is shot and the city falls to Tom Logan. And now on to The Happening. 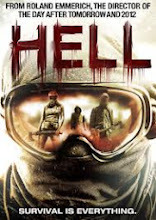 I viewed this movie with lowered expectations because I had only heard poor reviews of it. So with reviews of an hour and half of my life wasted I sat down for the viewing. I enjoyed it. Now don’t get me wrong it wasn’t what I’d call great or anything. It was predictable and didn’t have any plot twist device. Night chose to reveal the agent behind The Happening in the first twenty minutes and then let the viewing audience sit and think ‘really? really?’ I did enjoy all the mayhem and death, panic. That was fantastic. I only wish that Shyamalan hadn’t wussed out. Goddamn it I hate it when authors and directors do that. Crap! I’m an adult I can handle a horrible depressing ending. What he should have done was shorten the entire movie to no more then 20 minutes, used that as a prologue ands then should have extended the ending at least an hour. That was what I wanted. Total destruction on a world wide level. The same thing happened in 28 Day Later. At the end we find out it is only England. But wait there’s a sequel 28 Weeks Later. But damn it all! 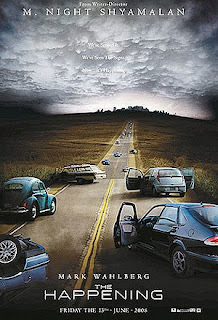 The movie pulls back from total destruction and shows Rage Zombies overtaking France as a tease at the very end. Come on! That’s what I paid to see in the first place. Now I bet they will try to swindle me again with 28 Months Later or some junk. That was exactly the feeling I had when I watched The Happening. I knew it could be so much better if Night had not pulled the punch on the movie.